Can Cats Eat Raw Chicken? Is It Safe And Can It Do Them Good? You are here: Home / Food / Can Cats Eat Raw Chicken? 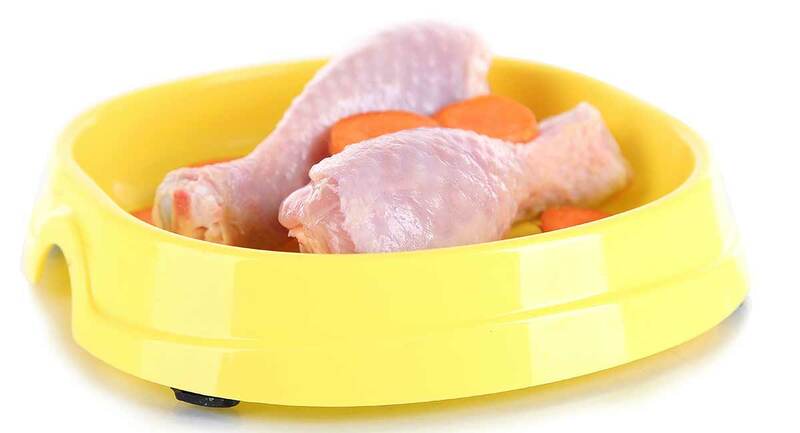 Whether you’re asking because your feline has cleverly “liberated” some uncooked chicken which should have been your dinner, or because you’re interested in raw feeding for cats, Helen Lee has the answer. 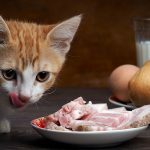 Is raw chicken safe for cats? Is it good for them? How best can you feed it to your favorite feline? 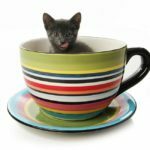 Whether you’re interested in feeding your kitty a raw treat once in a while, or wanting to switch your cat over completely a raw diet, you’re not alone! Many people are interested in feeding cats raw chicken as part of their diet. After all, it’s not like wild cats can cook. And in the wild, they often take in birds. So wouldn’t feeding cats raw chicken just be better for them? Well, the answer to that isn’t as simple as you might imagine. But let’s take a research-based look at the facts, and figure it all out. Cats can eat raw chicken, but it’s not quite as straightforward as you might have hoped. Provided the meat is fresh and salmonella free, then it’s safe. But veterinarians disagree when it comes to bones. Smaller raw bones are probably safer than larger bones. As you’re about to read, there are strong opinions about raw feeding cats anything, and very conflicting views. In their natural habitat, cats are strict carnivores, counting on the nutrients contained within animal tissue for all of their requirements. They consume prey with high amounts of protein, moderate fat, and small amounts of carbohydrates. They are adapted for more efficient processing of proteins, and not so much of starches. But in domestic life, cats have adjusted to commercial diets or kibble or cooked wet foods. Can they go back to raw chicken? Cats get their energy from proteins and fats. In fact, they require twice or 3 times more protein than omnivorous animals. Additionally, studies show that they get all their energy from proteins even when they’re not getting enough protein. That means that malnutrition can easily occur when they consumer a diet too low in protein. They also need certain amino acids such as taurine, arginine, methionine, and cysteine for proper body function. Interestingly, cats can’t synthesize these acids themselves, nor can they conserve them. So they need to get them from their diet, in larger amounts than other animals. All of these amino acids are found in animal tissues like chicken. The amino acid taurine especially can be an issue for cats. Taurine availability in a cat’s food is affected by things such as the source of protein (animal tissues are rich in taurine, plants are not), how much heat processing happens to the food, and how much fiber the food has (more fiber requires more taurine). The vitamin needs of cats are also unique. They need lots of B vitamins, especially niacin, thiamin, and pyridoxine. Again, they can’t store these vitamins, so they need a food source of them. Vitamins A and D are especially important for vision, bone, muscle growth, and more. Both are actively found in animal tissues; the versions found in plants, such as beta carotene, can’t be converted by cats into the active forms of the vitamins. Cats also need vitamins E and K. Most commercial cat foods offer both. But what about raw chicken, specifically? The risks and benefits that go with all raw foods fed to cats apply here. There are both good and bad aspects. 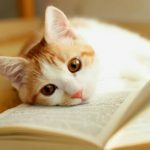 We’ve previously outlined all the good and bad aspects of a raw food diet in this article, if you want additional information in order to decide if it’s right for your cat. Is Raw Chicken Good For Cats? There are a number of reasons why people might wish to feed cats raw chicken and other raw foods. For one thing, raw diets help you control the kinds of foods your cat is eating. Commercial cat food diets can contain a lot of unfamiliar ingredients, and are often bulked out with indigestible carbohydrates. But you know what’s in raw food, and you can avoid preservatives and grains that cats haven’t historically needed. With careful research you might also be able to improve the quality and quantity of micronutrients your cat eats by feeding them a raw diet. Furthermore your cats’ natural diet would consists entirely of raw foods, and raw foods have been shown to give cats increase cats’ immunity to disease, equilibrium, and predictable behavior. However raw food has also been shown to have some major drawbacks. Is Raw Chicken Bad For Cats? For cats, the main issue in eating raw chicken (like other raw foods) is safety. Significant concerns about raw feeding cats include a high potential for bacterial contamination and a possibility that your cat isn’t getting complete nutrition. Scientific research done to date shows that there isn’t much evidence that raw diets that include chicken for cats is completely safe. In fact, there may be increased risk for cats that eat raw chicken. Numerous studies warn of the risk of bacterial infection caused by raw chicken, including one that showed that several cats on a diet that included raw chicken died of salmonella. Recent studies by the USDA show that 3.8% of young chicken samples it tested were contaminated by salmonella. Over the years the amount of dangerous bacteria in raw chicken available to the public seems to be decreasing, but the risk is still there. Anecdotal evidence from veterinarians, breeders, and pet owners say that raw chicken can be part of a healthy, natural diet for cats, though. And it’s true that cats have been eating raw meat for ages. So cats can consume and digest raw chicken, and there might be health benefits which make it worthwhile. But how does one go about feeding raw chicken to cats? Remember, that the kind of meat you get at the grocery store for human consumption is intended for cooking. To keep your cat safe, purchase chicken specifically intended to be consumed raw by cats. These products are preserved for freshness and do not contain salmonella. You may wish to purchase frozen raw chicken diets designed for cats, as these are usually frozen immediately after being ground to prevent bacteria infection. You should also follow safe handling procedures to minimize risk. In general, feeding a bit of chicken with a complete diet may not harm them, as long as you are careful about handling. Can Cats Eat Raw Chicken Bones? If you are feeding raw food, raw bones do provide some nutritional value, most importantly calcium. Some vets and experts recommend carefully allowing the chewing of small, breakable bones for dental health and mental stimulation as well. Some people will tell you that raw bones are better than cooked bones that splinter inside your cat’s intestinal system. However, scientific studies do not necessarily confirm this. If you decide to feed bones, observe the way your cat eats them to make sure it’s safe for her. Then watch her next bowel movements. If there is blood, or if she has trouble with indigestion, vomiting, gas, or other issues, then do not feed bones. If she is constipated, cut down on the amount of bone. Can My Cat Eat Raw Chicken Necks? Chicken necks are small bones that cats are able to chew. They contain a variety of minerals and vitamins, including calcium, magnesium, potassium, and phosphorus. If you do intend to feed raw bones to your cat, chicken necks may be a good option. Again, please watch her to make sure she’s okay with this particular bone. Can My Cat Eat Raw Chicken Liver? Chicken liver is a highly nutritious organ, and cats can get a lot of the nutrients they need from organs, compared with other types of raw meat. Raw chicken liver for cats includes plenty of B vitamins, protein, calcium, iron, copper, magnesium, phosphorus, and other things that they need. However, you should never feed organs in large quantities, as doing so may cause diarrhea. Can My Cat Eat Other Chicken Organs? As with chicken liver, too much of other organs and muscles in their diet can be a problem for cats. However, one advantage of feeding organs, such as the heart, is that the more work a muscle does, the more taurine it contains. As we have seen, cats need taurine to function. Organs are a good source of taurine. Can Kittens Eat Raw Chicken? If you decide to feed raw chicken to your cats, there’s no reason to leave the kittens out. Once they are weaned, they can eat the same things as the adults. However, you’ll need to feed them smaller deboned chunks at first, and gradually introduce them to larger pieces and bones. Please note that kittens need more protein, calories, amino acids, and minerals, along with certain vitamins, than adult cats. One of the biggest criticisms of raw food diets is that a majority of them do not offer the right amount of nutrition for cats. This is absolutely vital for kittens, so avoid raw food if you’re not confident about how to do it right. Your kitten’s vet can help you make safe decisions about how and when to introduce raw chicken into their diet. My Cat Ate Raw Chicken, or My Cat Licked Raw Chicken – What Should I Do? 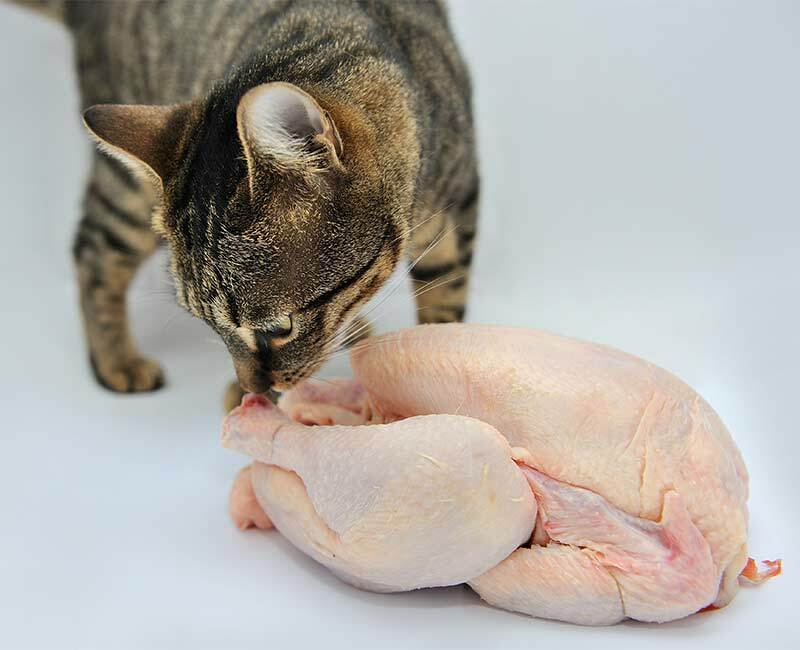 The main danger of your cat eating or licking raw chicken which wasn’t prepared specifically for them is bacterial contamination, especially by salmonella. Watch for signs of sickness including diarrhea (often bloody), fever, lethargy, loss of appetite and vomiting. If any of these symptoms occur, seek veterinary attention. 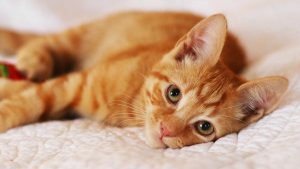 Salmonellosis caused by salmonella infection can be fatal, and feline salmonella infections can also be passed onto humans, so prompt treatment is vital. My Cat Ate Raw Chicken Bones – What Should I Do? Besides the risk of bacterial infection, large or cooked chicken bones can also splinter inside your cat’s digestive tract and cause damage. Watch for any signs of illness or difficulty digesting food. Call your vet if you have any concerns, and remember it’s always better to be safe than sorry. It’s up to you to decide whether or not your cats can eat raw chicken. There are definite risks that should not be downplayed. But there are potential benefits, too. Few of the benefits are readily quantifiable at the moment – we’re still waiting for more controlled studies to prove whether there are measurable health benefits. But for some people, a raw diet for their cat feels more “right” anyway. If you choose to feed your cat raw chicken, make sure it intended to be eaten raw and free from salmonella and large bones. If your cat has eaten some raw chicken by accident, they are likely to be fine. But keep an eye on them (and the contents of their litter tray) just in case it makes them poorly. Does Your Cat Eat Raw Chicken? Have we helped you decide whether to feed your cat raw chicken? Do your cats love the stuff? Or perhaps you’re here because your fridge raiding feline has just snaffled the chicken you were going to cook later? National Academy of Sciences (2006). Your Cat’s Nutritional Needs: A Science-Based Guide for Pet Owners. Schlesinger, D. P. and Joffe, D. J. (2011). Raw food diets in companion animals: A critical review. The Canadian Veterinary Journal, 52. Stiver, S. L. et al (2003). Septicemic salmonellosis in two cats fed a raw-meat diet. Journal of the American Animal Hospital Association, 39. Studahl, A. and Andersson, Y. (2000). Risk factors for indigenous campylobacter infection: a Swedish case-control study. Epidemiology & Infection, 125(2). U.S. Department of Agriculture, Progress Report on Salmonella and Campylobacter Testing of Raw Meat and Poultry Products, CY 1998-2014. Zhao, C. et al (2001). Prevalence of Campylobacter spp., Escherichia coli, and Salmonella serovars in retail chicken, turkey, pork, and beef from the greater Washington, D.C. area. Applied and Environmental Microbiology, 67(2). Zoran, D. L. (2002). 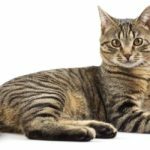 The carnivore connection to nutrition in cats. Journal of the American Veterinary Medical Association, 221. University of Glasgow School of Veterinary Medicine, “Salmonella Infection: Advice for Owners”. Hello. I am takeing care of a colony of feral cats. Can I put whole raw chickens in a sausage grinder and feed it to them?